Asked to imagine Australia’s wilderness many people immediately picture its arid outback, but its landscapes are in fact surprisingly varied. 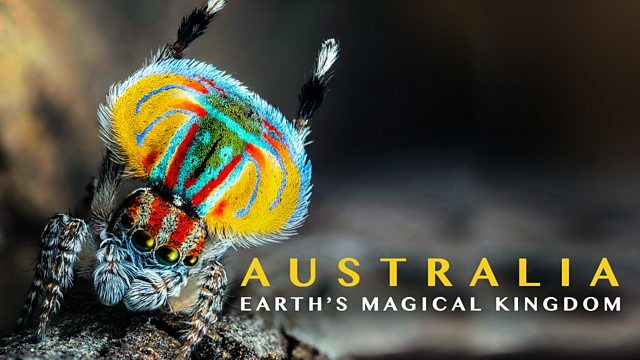 Traveling from the peaks of the aptly-named Snowy Mountains - touched by Antarctic winds - to tropical Queensland we discover how animals have learned to thrive across the continent’s harsh and beautiful extremes. We meet an echidna, a curious creature related to the only other monotreme on the planet, the platypus, that has the rare ability to lower its body temperature to endure icy winters. The Dryandra Woodlands south of Perth provide the last stronghold for a native marsupial that once ranged all across Australia. The charming numbat, now reduced to less than a thousand individuals in the wild, survives on a diet of termites on the forest floor. Elsewhere, where animals have been able to remain in their forest habitat, tree kangaroos can be found climbing along branches in the forest canopy alongside palm cockatoos, whose intelligence is comparable to that of dolphins. The male palm cockatoo, or 'palmie', breaks off sticks and uses them to beat out rhythmic messages to his partner. Bird intelligence is taken to even greater heights, however, by the black kite. Gathering burning sticks and embers from bush fires, it drops them into dry grass to spread a curtain of flame that flushes out insects and small prey. Only in Australia have these remarkable phenomena been witnessed.